A sharp rise in visits to emergency rooms and calls to poison control centers nationwide has some health officials fearing that more potent and dangerous variations of a popular drug known as spice have reached the nation’s streets, resulting in several deaths. In the first three weeks of April, state poison control centers received about 1,000 reports of adverse reactions to spice — the street name for a family of synthetic substances that mimic the effects of marijuana — more than doubling the total from January through March, according to the American Association of Poison Control Centers. The cases, which can involve spice alone or in combination with other substances, have appeared four times as often this year as in 2014, the organization said. On Thursday alone there were 172 reports, by far the most in one day this year. Health departments in Alabama, Mississippi and New York have issued alerts this month about more spice users being rushed to hospitals experiencing extreme anxiety, violent behavior and delusions, with some of the cases resulting in death. Similar increases have occurred in Arizona, Florida, New Jersey and Texas. The total number of fatalities nationwide this year is not available, health officials said. One person in Louisiana died Wednesday and two others were in intensive care, said Dr. Mark Ryan, the director of the Louisiana Poison Center. Experts were unsure whether the increase this month in spice-related emergencies reflected greater use of the drug or a particularly dangerous formulation. Mr. Ryan said a large portion of cases appeared to involve a form called mab-chminaca. Law enforcement agencies, from the Drug Enforcement Administration to local police departments, have struggled to control the flow of synthetic cannabinoids, marijuana-looking substances that are sprayed with a hallucinogenic chemical and then smoked. Those chemicals, typically imported from China by American distributors, come in hundreds of varieties; new formulations appear monthly, with molecules subtly tweaked to try to skirt the D.E.A.’s list of illegal drugs as well as drug-detecting urine tests. Although the entire class of drugs is illegal because of the psychological effects, each new variety can present distinct health risks caused by its underlying chemistry or contaminants in renegade manufacturing facilities. Experts warn that the popular term “synthetic marijuana” is a misnomer, as the substances merely resemble marijuana but can be 100 times more potent. The use of synthetic cannabinoids as well as calls to poison control centers have decreased since 2011 as awareness of their danger and illegality has spread, national data indicates. Still, about one in 20 high school students used the drugs in 2014; about one in 30 adults age 19 to 28 used them in 2013, the most recent data available for that age group. More than 400 emergency-room visits in Mississippi were attributed to synthetic cannabinoids in April, according to the state health department. 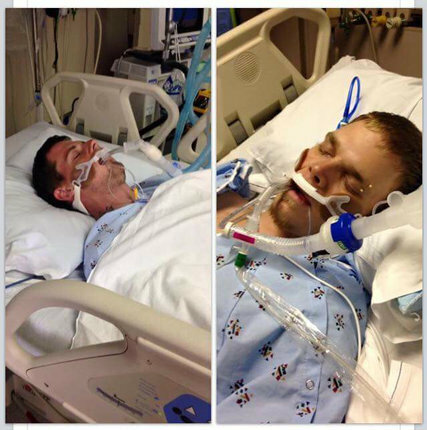 Two of those cases involved Jeffrey and Joey Stallings of McComb, who each spent several days in intensive care in medically induced comas, their mother, Karen, said in a telephone interview. Ms. Stallings said that Jeffrey, 24, and Joey, 29, smoked a type of spice known as “mojo” that they received from a dealer. She said that Jeffrey became delusional, thinking that a woman was bleeding in their hallway, and extremely violent; Joey became extremely agitated before she took them to the hospital. The increases in cases in Mississippi and Alabama demonstrate the challenge facing law enforcement officials. Last year, D.E.A. agents made about 40 arrests and seized more than 400 pounds of synthetic drugs in those states as part of a wider national operation. Yet supply chains clearly remain. Mr. Ryan said his Louisiana call center had fielded fewer calls in the past several years partly because emergency-room doctors had begun to recognize the effects of certain variations of spice and knew how to handle those cases themselves, leaving most of the calls from worried individuals. The tenor of recent calls has been different, he said.